Hot Shot Records is very proud to present the CD release of “Like Gangbusters”, in full, expanded form, complete with extensive liner notes that feature interviews with the newly reformed group along with added bonus material. Released in deluxe Super Jewel cases this remaster is a must have for all 80s Soul / Pop and New Wave fans out there! Formed when an expatriate American singer got together with former members of legendary punk outfit Subway Sect, JOBOXERS became a sensation in the 1983 with a Northern Soul infused pop sound. JOBOXERS’ first and biggest UK hit was the #3 smash ‘Boxerbeat’, which was followed months later by the #7 hit ‘Just Got Lucky’. This second single also reached the charts in Australia and USA, where it made a big enough impression to be selected for the soundtrack of the Steve Carell comedy The 40-Year- Old Virgin over 20 years later. 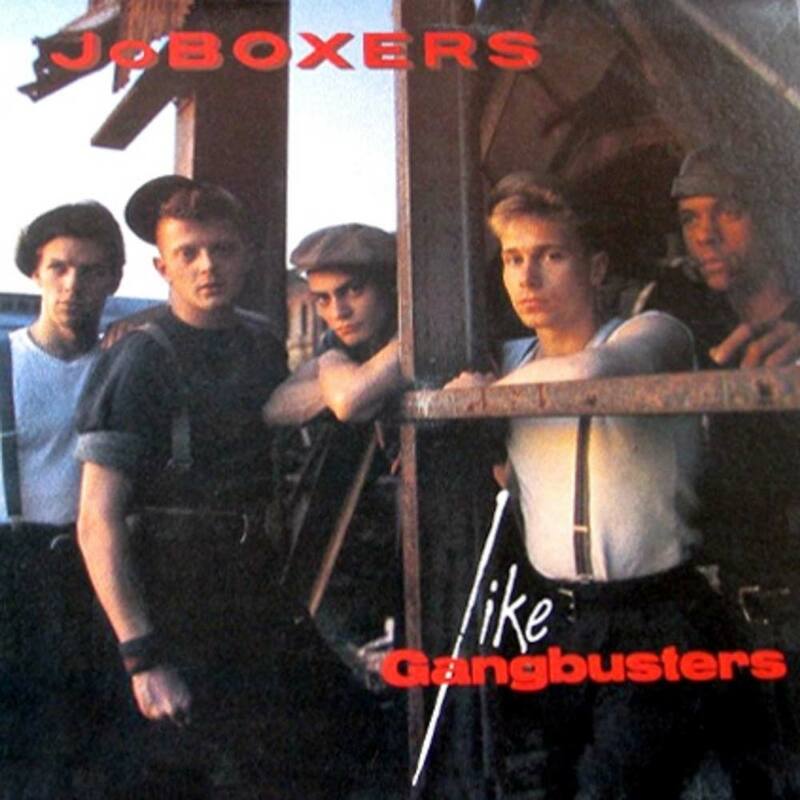 JOBOXERS’ debut album “Like Gangbusters” reached the US Pop charts and became a Top 20 hit in the UK in addition to producing a third consecutive UK Top 40 hit single in the form of ‘Johnny Friendly’. A further non-album single ‘Jealous Love’ gave the band their fourth hit of an amazing debut year. In addition to containing the now rare original 7″ and 12″ remixes, this 20 track expanded remaster also contains rare B-sides ‘Let’s Talk About Love’, ‘Why Don’t You Do Right (Get Me Some Money Too)’ and ‘Forget Me Love’ as well as the hit ‘Jealous Love’, of which the studio version made its CD debut here.